Singapore was ranked second in the Asia Pacific region, and 11th in the world, in the recent Web Index released by the World Wide Web Foundation. For Rikvin, this is an effective gauge of areas of improvement for Singapore to address in order to be more globally competitive. The Web Index, which rates countries according to their use of the World Wide Web, highlights the impact of the Web as a powerful tool for social, political and economic growth. Using key indicators and data derived from official sources, the study aims to achieve an in-depth understanding of how the Web is harnessed to accelerate development. In the Asia Pacific Region, Singapore is ranked second in terms of the overall impact of the Web, earning high points for infrastructure, content and political impact. 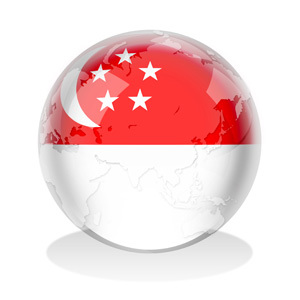 Singapore was ranked second in the world in the communications infrastructure category, which measured components such as international bandwidth per user, broadband subscribers, mobile phone subscriptions and overall public access, among others. The city-state also ranked first globally for having the fastest Internet speeds in the world — at 547,064mb per second, its rates are almost twice as fast as second-ranking Iceland, at 287,139mb per second. Meanwhile, Singapore also dominated the global list for political impact, ranking second in the world for the extent and efficiency of its e-government services. The city-state also earned the highest points for using information and communication technologies (ICT) efficiently in government. In spite of Singapore’s impressive scores in some categories, the city-state landed just outside the top 10 in overall rankings, due to its low ratings in the areas of web usage, social impact and economic impact. Despite the city-state’s world class ICT infrastructure, the Web Index revealed a weakness in “accessibility” indicators; i.e. Singapore shows a lower percentage of people who use the Web compared to other countries. Similarly, the study revealed a need to increase the economic and business impact of the Web in the city-state, such as increasing business-related internet usage, creating new ICT-based business models, or utilizing the web further in improving efficiencies in commerce. “To a large extent, Singapore’s business landscape is still very traditional. For example, many Singapore employers still expect their employees to physically show up at work, rather than telecommute or use ICT in day-to-day communications. There is indeed a need to develop new business models to adapt to the changing tides of business and the rapid evolution of technology,” explained Mr. Satish Bakhda, General Manager and Head of Rikvin Operations. “Moreover, there is a need to encourage SMEs to establish a web presence and leverage online technologies in their operations. With the Singapore PIC Scheme Guide Scheme and iSPRINT program, it is now possible for SMEs, as well as new entrepreneurs who register a Singapore company, to invest in ICT and at little cost to them,” he concluded.